Department of Urology, Keck School of Medicine of the University of Southern California, Los Angeles, California, U.S.A. This is a well-written, comprehensive chapter on laparoscopy and reconstructive urology as it applies to urinary diversion. As with any laparoscopic technique or application, the astute surgeon recognizes that the laparoscopic approach should mimic the open procedure regarding the basic principles and fundamentals of surgery. The authors maintain this surgical philosophy throughout the chapter. 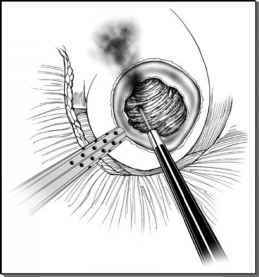 Several important concepts of this chapter regarding laparoscopic urinary diversion must be emphasized. It appears that laparoscopic urinary diversion is a reasonable option for the "experienced laparoscopist." With improvements in laparoscopic instrumentation along with increased experience and skill level in intracorporal suturing, a greater number of surgeons will be able to perform laparoscopic forms of urinary diversion. However, it must be emphasized that lower urinary tract reconstruction can even be technically challenging open operations and must not be underestimated, particularly from a laparoscopic perspective. These procedures require an experienced and dedicated laparoscopic surgeon. The authors appropriately state that a particular surgeon's confidence level with the urinary diversion technique (open or laparoscopic) should not dictate the decision process. Rather, the oncologic principles, patient selection, and patient preference should be the guiding factors. Proper informed consent for all forms of urinary diversion is mandatory. This consent process will collectively allow the patient and physician to make a well-informed decision regarding the form of urinary reconstruction that is best suited for that particular individual. The ureteral dissection and manipulation is an important step in urinary diversion. The authors comment on atraumatically handling the ureter with holding sutures. This is critical, as the ureter should never be handled with pickups forceps, which could jeopardize the delicate blood supply. Although not specifically addressed in the chapter, the harvesting of the ureter is also an important component. Maintaining the lateral vascular supply emanating from the gonadal vessels is important to prevent ischemia to the distal ureter and will help reduce issues of ureterointestinal strictures. This is particularly important in patients who have received previous radiation therapy to the pelvis. Regarding the ileal conduit, the authors emphasize on creating the stoma initially which anchors the ileal segment and facilitates intracorporal suturing of the ureterointestinal anastomosis. In addition, the authors that the proximal and distal ends of the ileal conduit are transected with the GIA stapler. However, if there remain exposed staples to the urinary constituents, this may lead to the development of conduit stone formation in the future. It may be best to simply exclude the proximal staple line with an absorbable suture. I read with great interest on the authors' technique regarding radical cystec-tomy and orthotopic diversion. Although not specifically mentioned, there is a growing body of data and sound evidence to suggest that a properly performed lymphadenectomy is an important component of the surgical procedure and the long-term outcomes of patients with high-grade, invasive bladder cancer. The consideration of a more extended lymphadenectomy particularly in high-risk patients with bladder cancer is important. Furthermore, from a technical perspective, when performing a radical cystectomy for bladder cancer, care should be taken to avoid spilling any bladder contents during the procedure, which could ultimately lead to tumor spill and possibly a local recurrence, which generally is a lethal event. The authors provide the background and technical description of laparoscopy-assisted and pure laparoscopic orthotopic neobladder reconstruction. The authors appropriately comment that orthotopic diversion "sits on the cutting-edge of laparoscopic reconstructive surgery." The laparoscopy-assisted technique is facilitated with a minilaparotomy for neobladder construction. It is clear that pure laparoscopic orthotopic reconstruction is technically more challenging and requires an experienced laparoscopist to perform. It may be advisable that surgeons interested in orthotopic laparoscopic urinary diversion start with the laparoscopy-assisted approach prior to embarking on the pure laparoscopic procedures. The indications and technique of the rectosigmoid urinary diversion are also well described by the authors in this chapter. This form of lower urinary tract reconstruction is more commonly performed in European countries were orthotopic diversion remains controversial in women. It is my belief, however, that in the properly selected female individuals, the orthotopic neobladder is the urinary diversion of choice and provides excellent functional results. It is emphasized that all patients requiring cystectomy should be properly informed of the various forms of lower urinary tract reconstruction. I believe this field will continue to grow. Furthermore, it is clear that a greater number of surgeons are performing laparoscopic surgery and, with more experience, some of the more difficult reconstructive procedures will be more commonly performed with this approach. I believe it will be the dedicated laparoscopist who intensely focuses in this surgical approach who will develop the laparoscopic experience and expertise to perform and improve upon the various forms of urinary diversion. The laparoscopic surgeon must have an understanding of the history and general principles of lower urinary tract reconstruction as well as the anatomical approach that is critical to ensuring the optimal clinical and oncologic outcomes in patients requiring urinary diversion. Incredible strides have been made in the field of laparoscopy over the past 15 years and it appears that these improvements will continue to evolve with time in their application to urinary diversion.